Alan M. Levy | Wisconsin Labor and Employment Lawyer | Lindner & Marsack, S.C.
"The life of the law has not been logic, it has been experience . . . "
Completing his fiftieth year in the practice, Mr. Levy understands Justice Holmes' words now more than ever. His experience in all aspects of labor and employment law, employee benefits, and specialty litigation has taught him the values of scholarship, detail, trial techniques, and strategy. 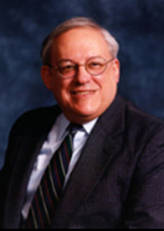 Mr. Levy's broad experience as an attorney, a pension fund administrator, and a professor has developed his skills and judgment; his understanding of the dynamics of labor law and the interests of management allows him to appreciate a client's needs and goals, counsel that client on how best to meet them, and then accomplish them in the most efficient, economic, and lasting way possible. Mr. Levy practices law by the philosophy that, while we all learn logic in school, we gain judgment from significant experiences. Various other pro hac vice admissions.